The youngest player ever to march his team to a Final Four is now the youngest to become the Turkish Airlines EuroLeague MVP, as well. Luka Doncic, who turned 19 on the last day of February, was voted by the fans and media as the 2017-18 season's best player after leading Real Madrid through a minefield of injuries all the way to Sunday's championship game against Fenerbahce Dogus Istanbul. The third-year pro from Slovenia was the competition's leader in performance index rating from late October onwards and takes a league-high average PIR of 21.69 into Sunday's title game. While last season's MVP, his teammate Sergio Llull, sat out eight months with a knee injury, Doncic took the reins and led Madrid to a 4-0 start and a share of first place as he was named the EuroLeague's youngest-ever MVP of the Month in October. 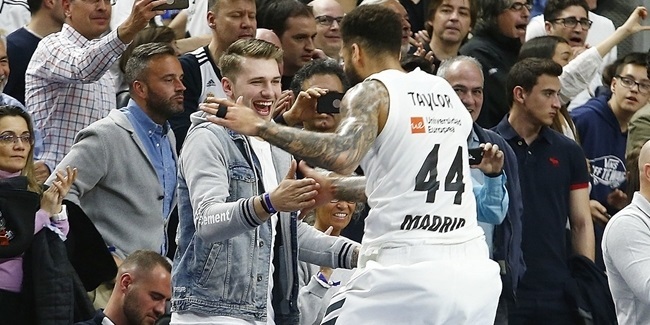 Doncic delivered the goods on a regular basis and enters Sunday's championship game ranked fourth with 16.1 points on average, thanks to having scored in double figures in 27 of his 32 appearances. Much more than just a scorer, Doncic ranked second among all EuroLeague players in fouls drawn (5.8), ninth in defensive rebounds (4.1), 11th in steals (1.1) and 13th in assists (4.3) while leading Madrid in minutes played (25:51). Earlier this month, EuroLeague head coaches made him the Rising Star Trophy winner for a second straight year, while fans and media voted him to the All-EuroLeague First Team, the first teenager so honored. After a season in which he inspired superlatives from start to finish, the so-called Boy Wonder has now added the biggest individual award, that of EuroLeague MVP, even as he keeps battling to get biggest team prize of them all for the first time – the EuroLeague champions trophy. Doncic becomes the 13th different player to become MVP since the current end-of-season awards format was introduced in 2005. He is the first EuroLeague MVP from Slovenia, which he left to join Real Madrid as a 13-year-old. He dominated the junior ranks with Madrid until he became champion and MVP of the Euroleague Basketball Adidas Next Generation Tournament in 2015, the same year that the club won the EuroLeague title. He joined Madrid's senior team later that year. Now in his third pro season, Doncic follows Llull to give Madrid the first back-to-back MVPs from the same team since Theodoros Papaloukas and Ramunas Siskauskas of CSKA Moscow in 2007 and 2008, respectively. Anthony Parker of Maccabi Tel Aviv won the award in its first two seasons, 2005 and 2006. Doncic entered this season having just helped Slovenia win its first EuroBasket gold medal and knowing that his role would grow in the absence of Llull. He promptly led Madrid in PIR for each of four games in October and won back-to-back MVP of the Round honors 48 hours apart to end the month. He would go on to claim the distinction for a third time in Round 15, while Madrid was in the middle of a seven-game winning streak, the longest of any team this season. He then added the Round 29 MVP honor on a buzzer-beater in Belgrade, where he will make his first title attempt on Sunday. In a 3-1 playoffs series win over Panathinaikos Superfoods Athens, Doncic led Madrid with an average PIR of 16 per game. He was also the team's second-best scorer with 10.2 points per game and co-leader in rebounds with 5 on average in the playoffs. 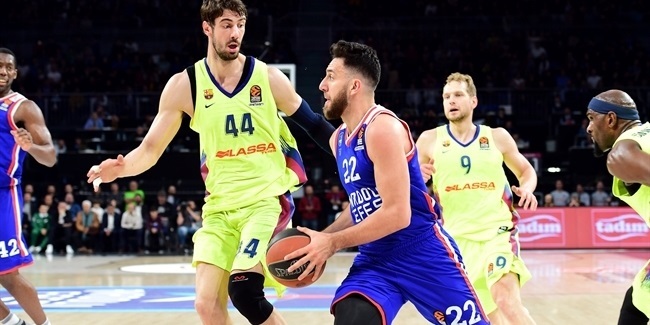 Doncic was then joint-best scorer with 16 points and tied two teammates with an 18 PIR as Madrid rallied to defeat CSKA Moscow 83-92 in the semifinals in Belgrade, taking him to his first EuroLeague championship game on Sunday. Before that game is played, Doncic has already generated a load of eye-popping milestones. He is the first player younger than 25 to lead the EuroLeague in average PIR. 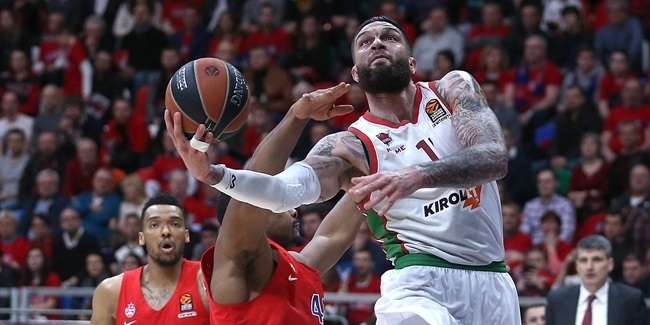 His per-minute PIR – 33.5 prorated over 40 minutes – is the sixth best by a player in any EuroLeague season. And he became just the fourth EuroLeague player ever to post PIRs of 35 or higher in at least five games. To top it all off, in Friday's semifinal, Doncic established a new EuroLeague record by bringing his season-long performance index rating total to 694. He still has one game left to keep adding accolades to his collection, but at the end of the 2017-18 season, the consensus is clear: regardless of his age, Luka Doncic is the single best player in European club basketball, and the first teenage MVP in the Turkish Airlines EuroLeague.